The true business of school is not to chain the students to preconceived ideas, but to set them free to discover their own ideas and to help them bring all their powers to bear upon the problem of learning. The English Department's elective program in creative writing is open to students in all grades, supporting young writers throughout their development with a progressive series of workshops. Students are encouraged to participate in the wider life of the writer, submitting their writing, editing Blue Flag, the school's literary magazine, and sharing their work at one of the program's many public readings. Introduction to Creative Writing: Students write poetry and fiction, growing comfortable in a workshop setting as they learn how to discuss one another's work. Advanced Workshops: Advanced Workshops focus increasingly on craft and technique. Advanced Writing Workshop allows students to continue experimenting with both fiction and poetry, while the other advanced classes are genre-based and much more focused. These include Advanced Poetry Writing, Advanced Fiction Writing: The Short Story and Advanced Fiction Writing: The Novella. Senior Thesis Workshop: Second semester seniors work on a unique project with the support of the workshop and individual mentoring from the instructor. At the conclusion of the workshop, the writers read their work at the Annual Celebration of Creative Writing, and the theses are preserved in the Dalton Archives. Read "The Pedagogy of the Creative Writing Workshop", published in the 2014 issue of the Parents League Review. Read "Alchemy: Creative Writing at Dalton", published in the Fall, 2011 issue of Dalton's Connections magazine. Read "The Gold Standard: Defending Creative Writing in the Classroom", published in the September-October, 2005 issue of Teachers & Writers. 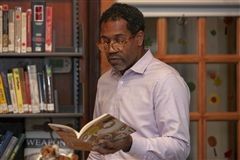 Pulitzer Prize winning poet Gregory Pardlo taught a Master Class for the Advanced Poetry Writing students and then participated in an event with Coordinator of Creative Writing Program Chris Hood titled "The Third Rail: Writing about Fatherhood and Race." Every year, Dalton students submit artworks and various forms of writing to the NYC Scholastic Art & Writing Awards achieving outstanding results. 2018 was no exception, with six Gold Keys and eight Silver Keys awarded in Art, and seven Gold Keys and ten Silver Keys in Writing categories. 67 students in all won awards including 35 Honorable Mentions. The students from the Advanced Poetry Writing classes shared some of their work from the semester. In the words of Mr. Hood, as he introduced the event, "The poetry...is relentlessly honest about the human condition. It is sometimes poets speaking from their own lives, with a very raw personal honestly, it's sometimes the poet creating a character." He further explained that both methods are ways of trying to access feeling for the reader. The appreciative audience was sizable and included a number of Creative Writing Program alums. Twelve poets shared their work. The best guide to the mechanics, style and methodology of writing. One of the best poets I've ever met credits this book with teaching him how to write! The classic text! John Gardner provides a wonderful way of thinking about the art and practice of fiction writing. A great introduction to poetry writing, with prompts, exercises and thoughtful discussion. A nicely done blog with prompts for writers. You can even add your own! Some thoughtful prompts from Writer's Digest. Great image-based prompts for writers! Roll the mouse over these prompts for a quick burst of inspiration. Another spring offering. Spend a long May weekend at the Middlebury's Breadloaf (on which Bronxloaf is modeled!) in northern Vermont. A three-week workshop on the beautiful Simon's Rock campus in the Berkshires. Fantastic writing across all genres, great writing companions, incredible off-campus trips to plays and the Book Barn (a.k.a. the greatest bookstore ever.) Molly W. went and had the best consecutive three weeks of her life. Intended primarily for undergraduates, the Berkeley program offers high school students a rigorous and challenging six-week experience. If you want to dive into the deep end of the pool, this might be for you! A spring course, Bronx Loaf offers a weekend length creative writing workshop just north of Dalton! A five week course of study including creative writing on the campus of Wesleyan University. Summer writing workshops for high school students available right here in NYC. Or not so far West. Three week creative writing workshops among the lakes of northern Michigan. Go West, young writer, go West. Two week residential workshops in the high desert of California. Two week workshop at the University of Iowa, home to the world’s best-known MFA program. Offers fiction, poetry, and a creative writing focus that lets you write in multiple genres. A two week workshop in early July, the Writers Institute combines creative and professional writing courses, with a focus on the business of writing that sets it apart from other programs. Two week workshops at Kenyon College, which has a wonderful reputation for creative writing. Several Dalton Creative Writing Program alums are currently attending Kenyon! A one week residency at the University of Massachusetts, Amherst with craft sessions, workshops and readings. A one week workshop offered in June on the campus of Skidmore College in Saratoga Springs, NY. Poets House, right here in New York City, offers a marvelous range of opportunities, including this intensive one-week summer workshop for high school students. Three week sessions (or a six week session, for the brave-hearted) studying creative writing in beautiful Putney, Vermont. Added bonus: on your way up Kimball Hill through Putney look to the right for the white house behind a line of stately locust trees, Mr. Hood’s childhood home. An option for those who would like to do some summer study right here in NYC. Classes available at Pratt's Brooklyn and Manhattan campuses. An intensive 8 day workshop in Ohio. Offered every year in June. A good way to kick-start your summer of writing! In Mr. 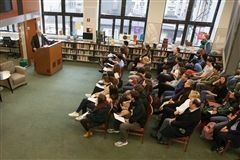 Hood's Westchester town of Bronxville, Sarah Lawrence College offers summer programs that include creative writing options. Two week intensive creative writing workshops at Sewanee, The University of the South. No promises during the summer, but during the year, students and faculty at Sewanee wear academic robes to classes. A graduate of the program wrote Beasts of the Southern Wild! One of the first programs for high school students, the Young Writers Workshop takes place on the beautiful campus of the University of Virginia. A three week summer writing program in which students write both poetry and fiction. Held on the Walnut Hill School campus outside of Boston. An intensive twelve day writing residency at the Atlantic Center for the Arts on the Florida coast. Mr. Hood has done a residency at ACA and loved the place!